Who will be 2face’s bride? 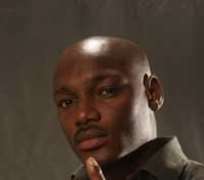 Like or hate (Innocent Idibia) 2face, he is Nigerian authentic star. In Africa, there are two artistes that command huge followers across Africa and '2baba' as 2face is called is one of them. So, it was with high expectation that Nigerians and Africans as a whole expect his album, and when it dropped without sampling what is in it, thousands of Nigerians rushed to grab as many as they could. When he choose to call his album, 'unstoppable' little did we know that he was trying to tell critics that have written him off that he is still very much unstoppable. His newly released album sold 267 000 copies in three days and the figure came from the company handling distribution of the new album, Hypodrum Entertainment. The figure might be a far cry from the over 10 million copies is two albums, Face2face and Grass to Grace sold, but considering the fact that the album came out few days to Christmas, the figure was good enough. Henry, the CEO of Hypodrum Entertainment told Showbiz Now that he expects the figure to pick up immediately after the holiday. Unstoppable which lean more towards reggae features 'R. Kelly', 'Chakademos and Plier', 'Wyre', from Kenya, Sound Sultan and quite a number of other artistes. The video of Enter the place, the single he released last year will hit airwaves in a matter of days. On the flop of reunion of 'Plantatiun boyz', 2face said it was due to unforeseen circumstances. If you think promotion of the album is the only thing 2face will have on his mind in 2009, then you will be wrong. 2face is seriously considering marriage and this is authentic. The Benue state born act disclose this much at the listening party for his new album and he reconfirmed that much in a chat with us. “Yes, I hope to get married in 2009.” He said. The big issue is not about his decision to settle down after having five children from three different women. The question on people's minds is 'who will be 2face's bride?' Will it be Ann Macaulay, who gave birth to a baby girl few weeks ago in far away America? Will it be Pero Adeniyi who already has two children for him? Or will it be Sumbo Ajaba Who once lived with him in his FESTAC home. At the moment Pero is said to be living with him while Ann Macaulay is the anointed candidate by 2face's mother and Sumbo is said not to be relenting in her effort to be the first lady in the star's house. At the moment, the star is still keeping his choice close to his heart and close watchers are trying to guess who will get the ring. Will it be someone outside of the three contenders? Only time will tell.